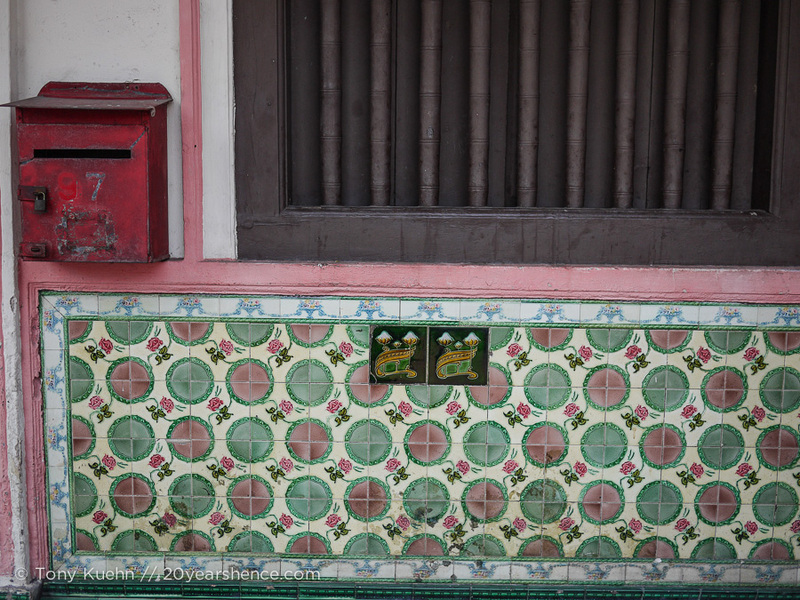 Initially, the most striking thing about Melaka is its architecture. The streets of the old town overflow with colonial buildings. 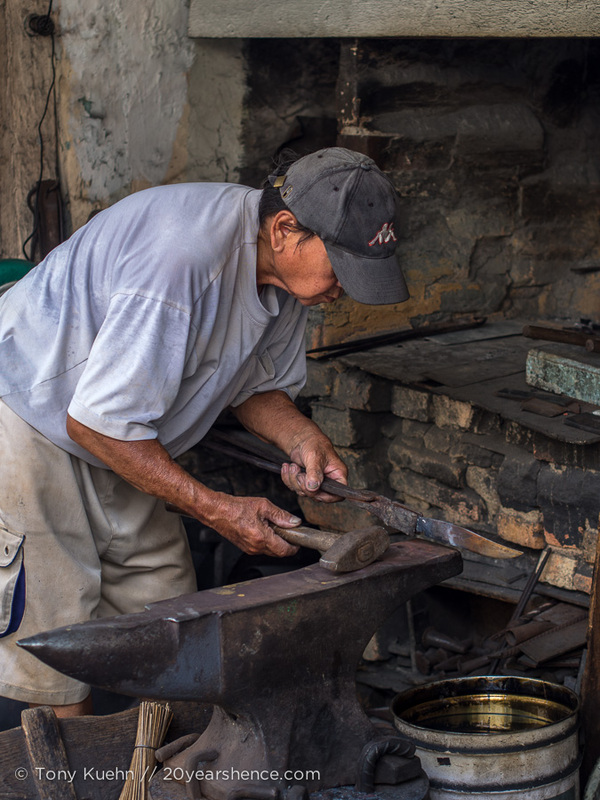 Many have been modified in the years since their construction to serve other needs: homes, businesses, temples, restaurants. 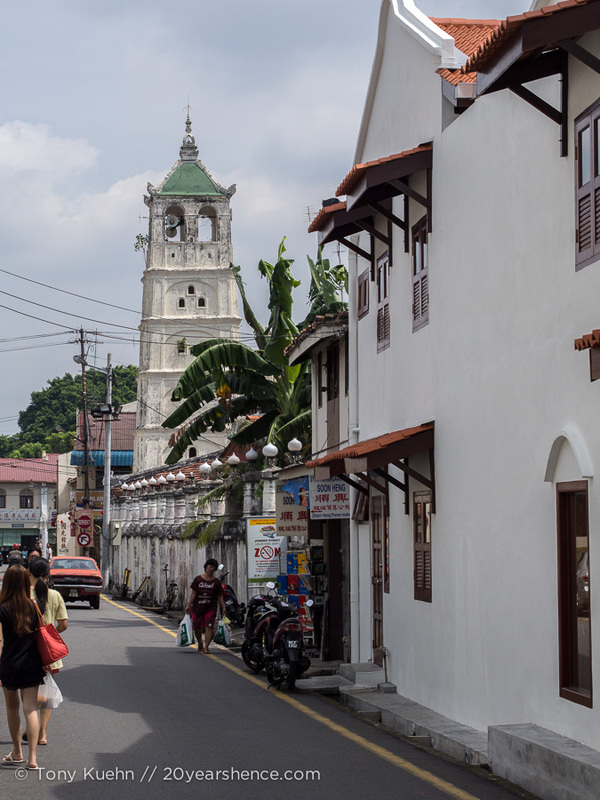 Scattered throughout the city, sometimes in groups and sometimes wedged between buildings of other styles, are mosques, Chinese temples, Chirstian cathedrals and Peranakan (straits Chinese) mansions. 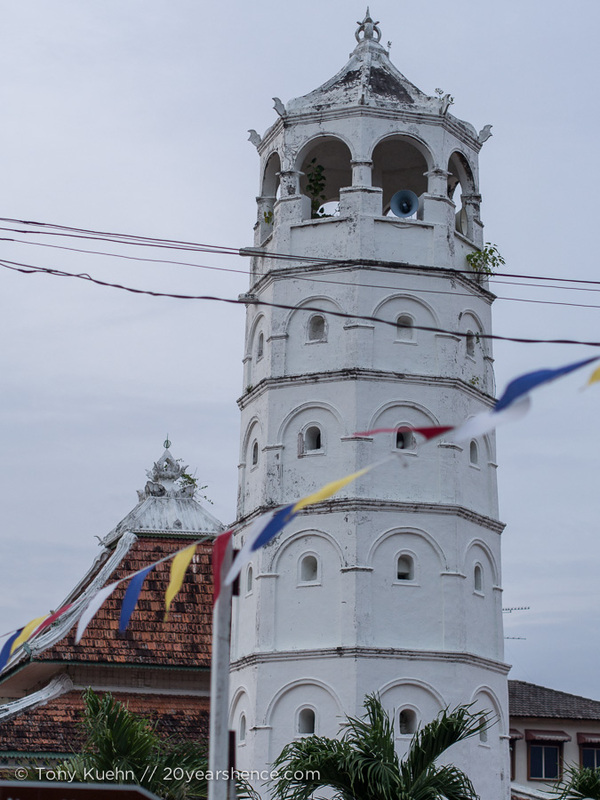 Our first day in Melaka was spent gaping at all the buildings, and staying on the shady side of the street in order to avoid melting into sweaty pools in the harsh sun. 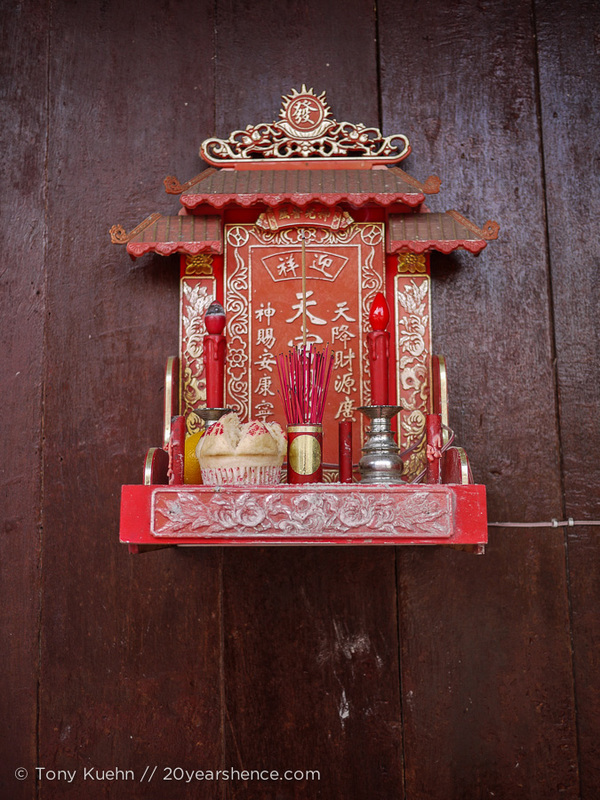 The chinese temples were ornate. The mosques were elegant. The colonial buildings had a uniform austerity that was masked by generations of little changes enacted by their successive occupants. 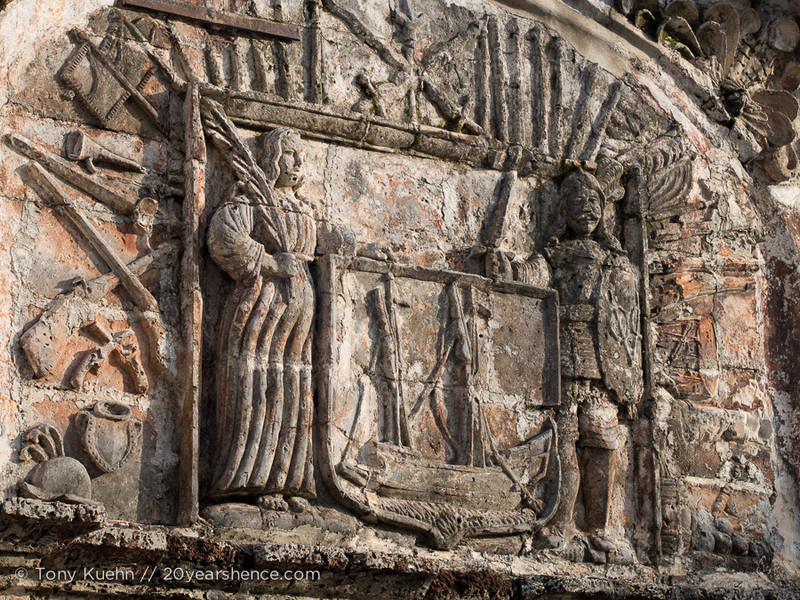 The church walls were thick with decades of painting and re-painting. The visual cacophony was astounding, beautiful, and at times overwhelming. We loved it. After a few hours of enthusiastic wandering, we were overcome by the heat and escaped into any nearby open buildings or shaded areas to wait for the angry sun to wane a bit. 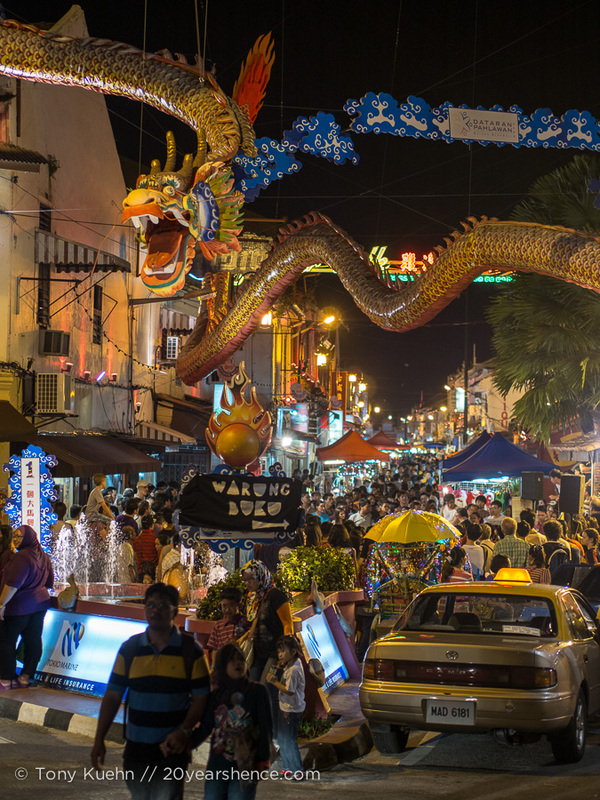 As the sun set, Melaka’s night markets began to take shape. 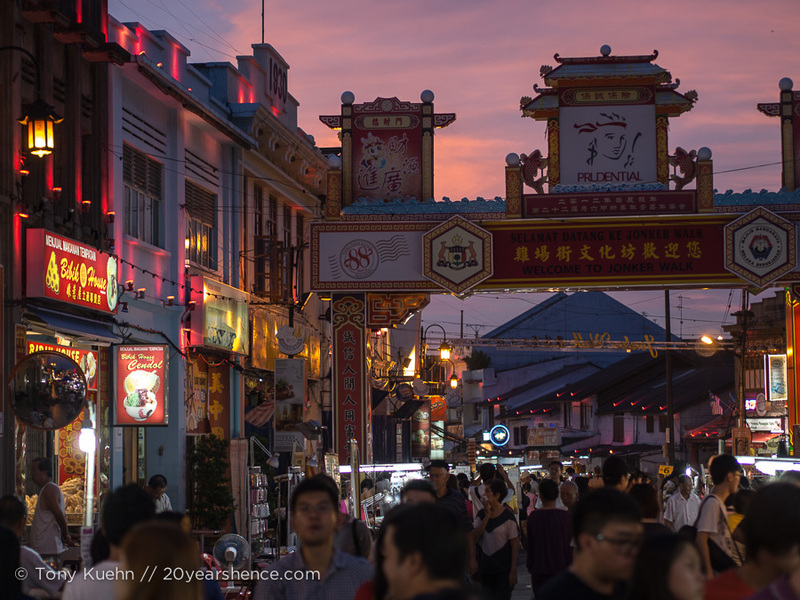 Downtown, on Jonker Street, the “tourist” market was going in full force by the time the sun was fully set. 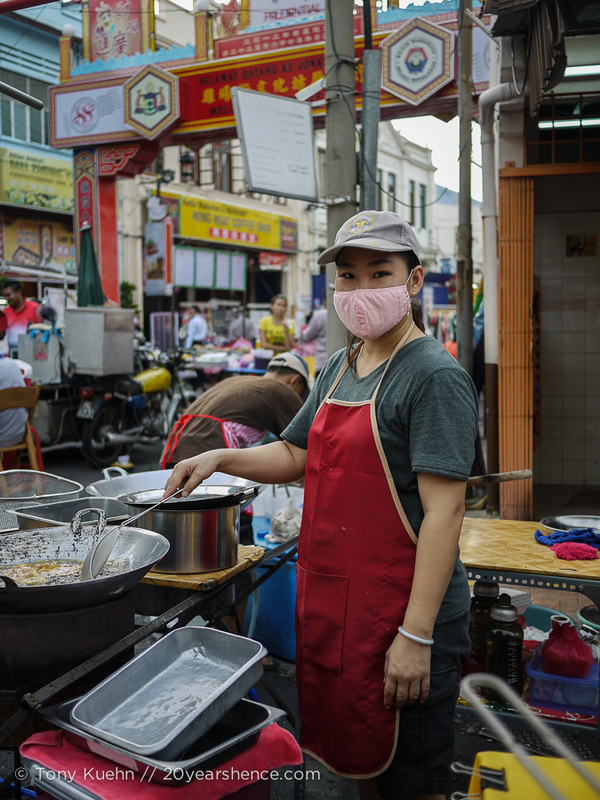 Packed with people, vendors and stalls, the market was a sweaty mob full of food, plastic doodads, and noise. 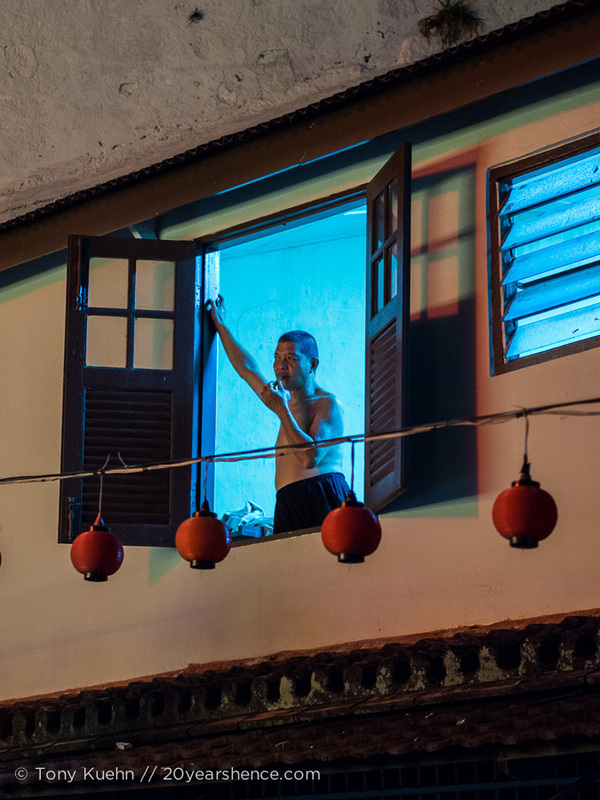 Though the market was large, we found relatively little to entertain ourselves on Jonker Street. 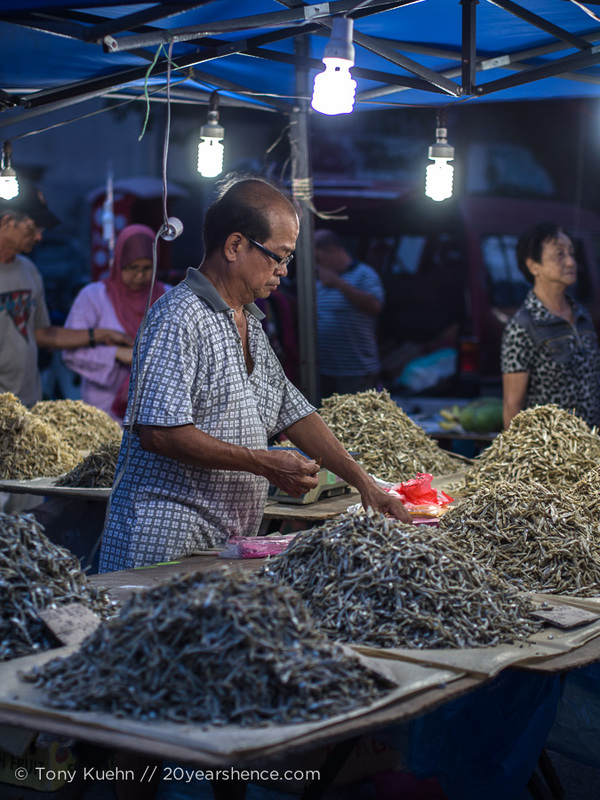 The entire market was essentially a tourist trap, full of junk we didn’t want and the most tourist-friendly version of Melaka’s delicious food. 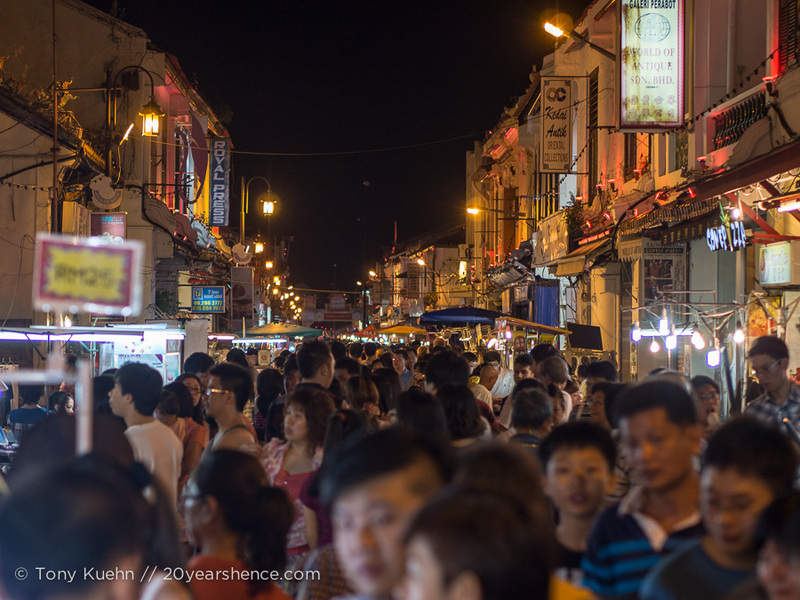 Tired and hungry, we headed to the comparatively quiet, and hopefully slightly more authentic, outlying market areas around Jonker Street for dinner. Once the sun had gone down, and our bellies were full, we noticed that the city around us had changed. 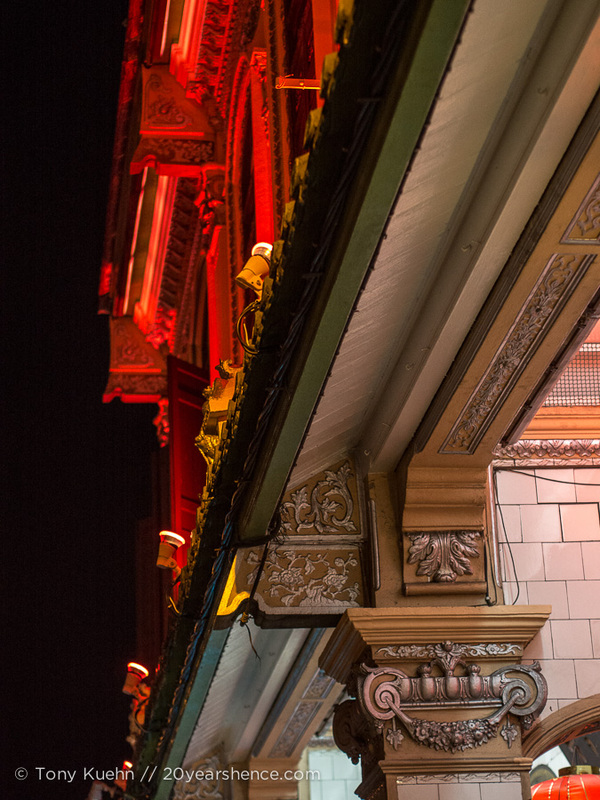 The buildings were now dramatically lit, many in traditional red. 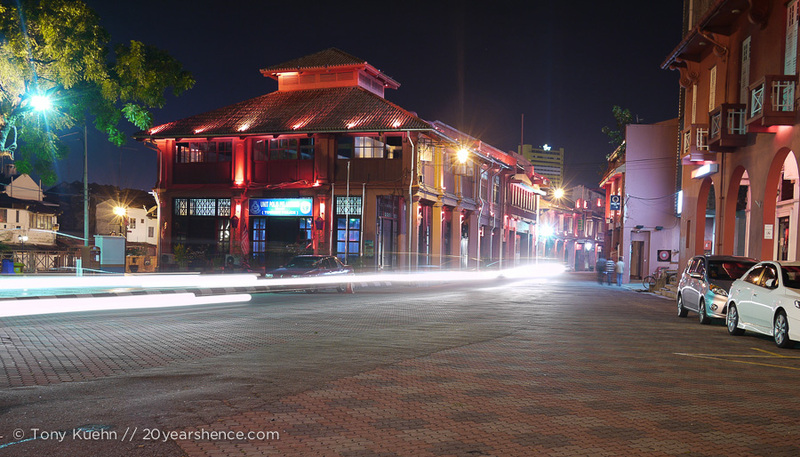 In a few hours the face of Melaka had suddenly changed its character. The next day we again braved the heat, and roamed the streets of the city we had missed on the prior day. 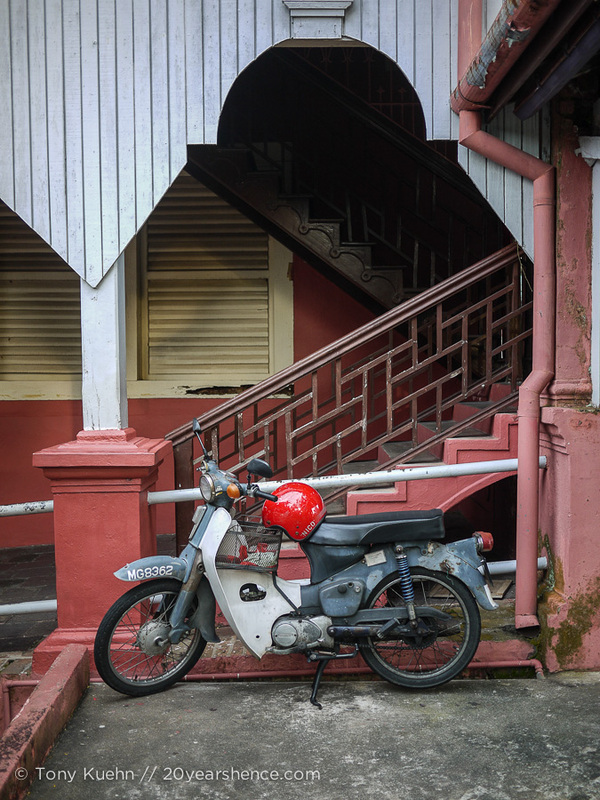 Now that we had seen and absorbed some of the buildings of Melaka, the little details began to jump out at us as we walked along the meandering laneways. 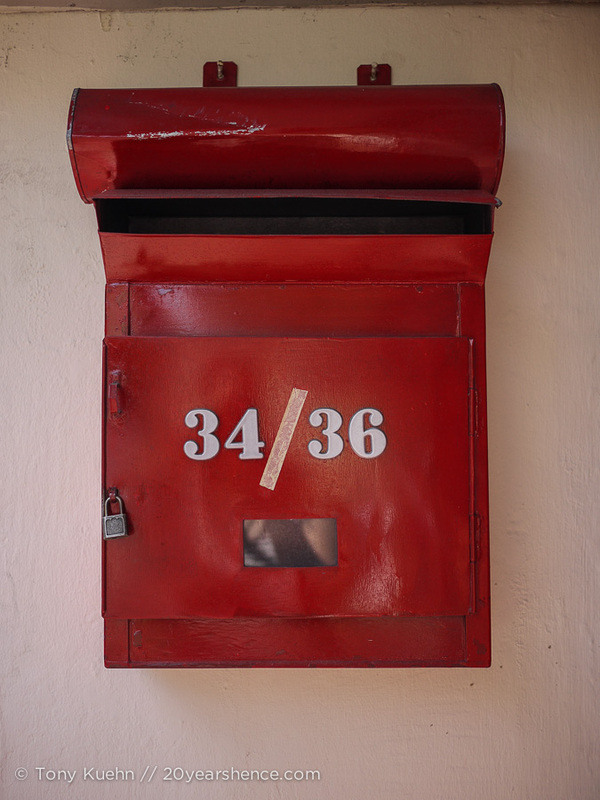 A statue here, a mailbox there, some pop of color in a shop doorway; all these little things were a part of the city’s charm and atmosphere and we loved discovering each one. Another facet of the city that is impossible to miss (besides the traffic and the heat) is the trishaws. 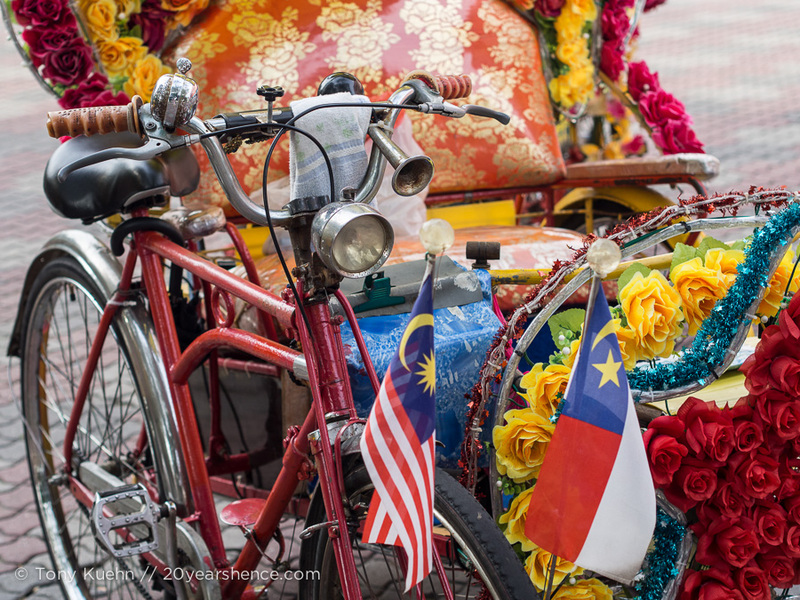 These three-wheeled bicycle taxis roam the streets, the enthusiastic drivers often singing along to the music blasting from their battery-powered stereo systems. 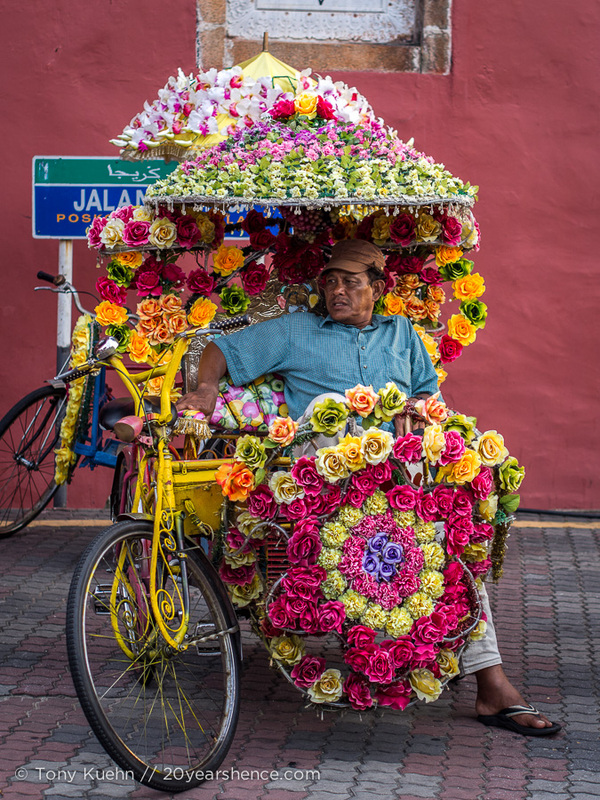 Each trishaw is more outlandish than the last, with every owner fighting a seemingly endless battle to outdo all other comers. Lights, music, avalanches of flowers, flags; nothing was too much or too lavish. Most trishaws looked heavy enough on their own, sagging under the weight of their décolletage, before any thought of adding the heft of tourists to the load. Every trishaw was different, and seeing them trundle down the street never got old. Our third day was dominated by the river. 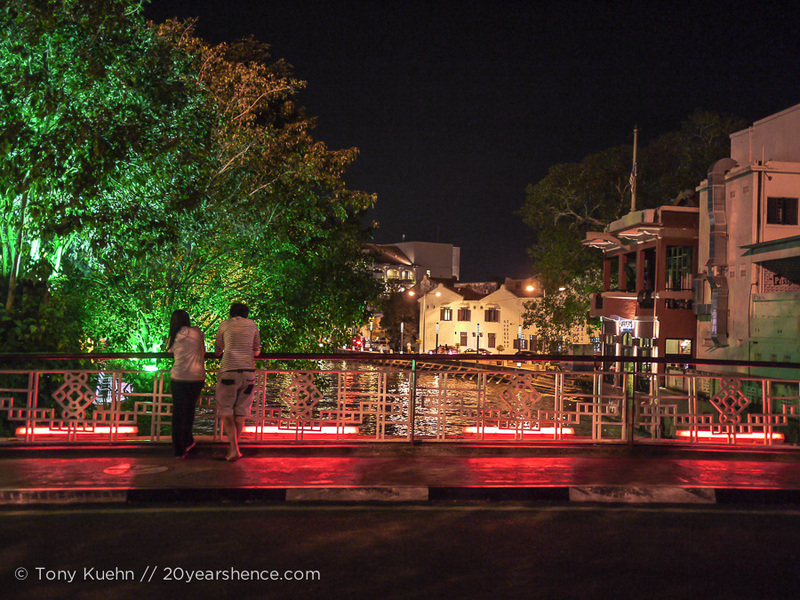 Running through the middle of the city, the river dictates much of the topography of Melaka. Many bridges span its flow, some old, some new and all along its banks the buildings are covered in art. 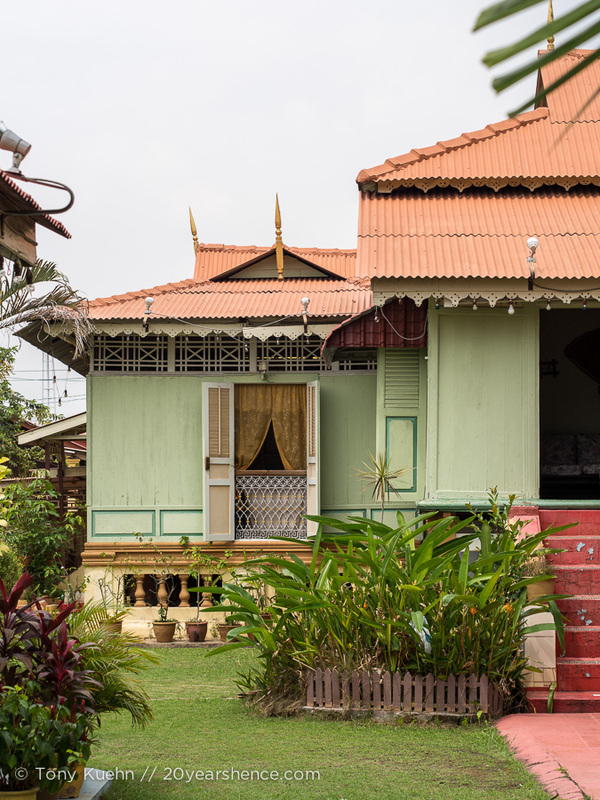 We walked along the river to Kampung Merton, where a collection of older, Malay style, houses were maintained in a traditional neighborhood. Despite the heat, the walk along the water was a nice change of pace. It was interesting to see the old city melting away, gradually replaced with the new buildings and construction of the rapidly booming new town. We took a boat back down the river, but found the wait to board (and the price) excessive, considering the short length of the ride and the crowded conditions of the boat. Walking back would have been a better choice, despite the heat of the day. In hopes of catching a cool breeze, we walked to the top of St. Paul’s hill. 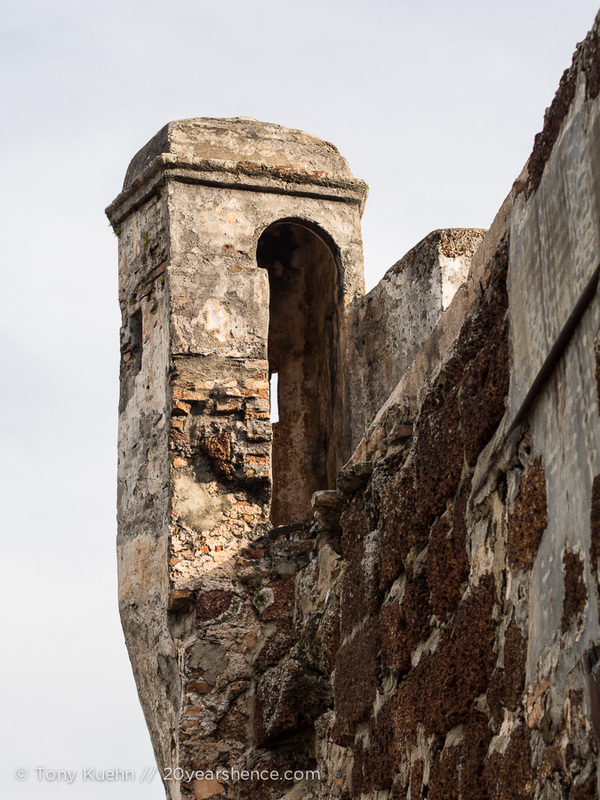 The path wound around the bottom of the mound, through the remains of an ancient Dutch fort and up to the top of the hill, where the shell of a cathedral full of 500 year-old gravestones waited for our arrival. 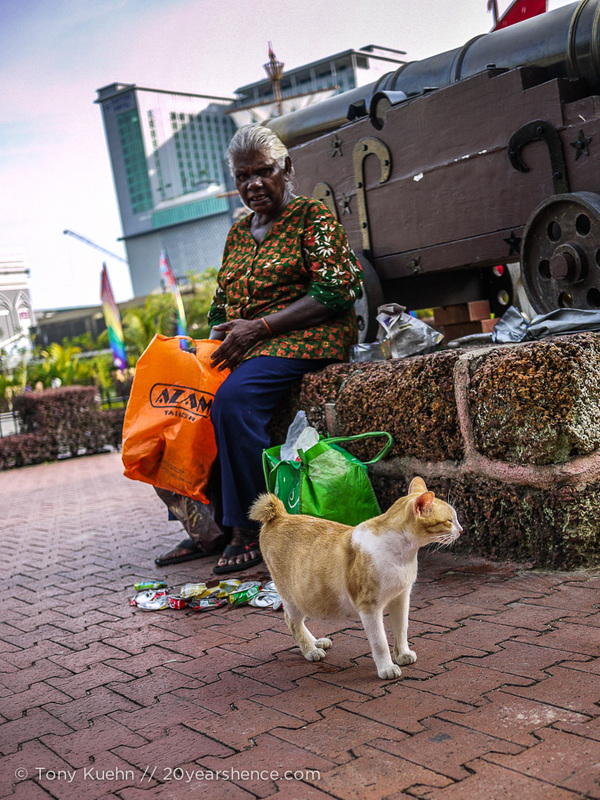 Before we went through the ancient fort, we saw an old Malay woman surrounded by cats. She seemed to have no love for the felines, and as she determinedly waved them away with a scowl and a hiss, they redoubled their efforts to swarm her from every direction. 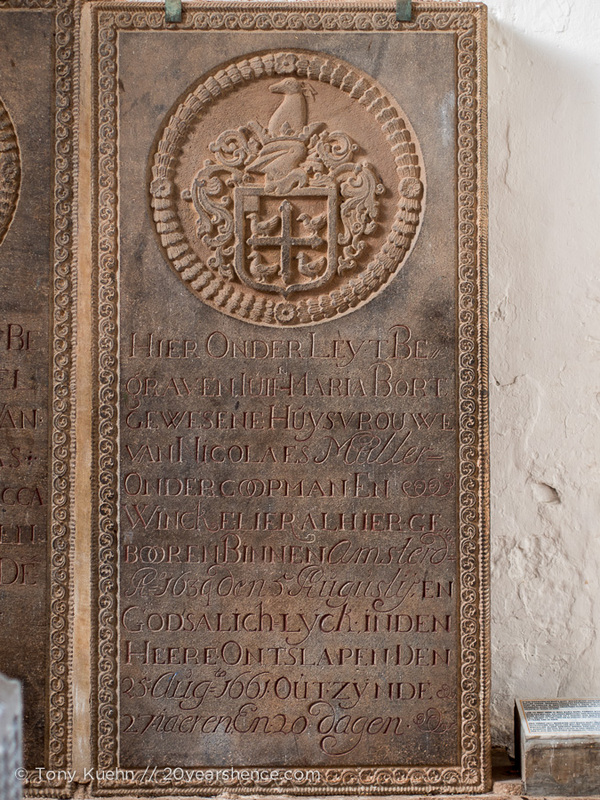 We watched her losing battle for a while before we ambled through the fort and up the hill to the skeletal cathedral. 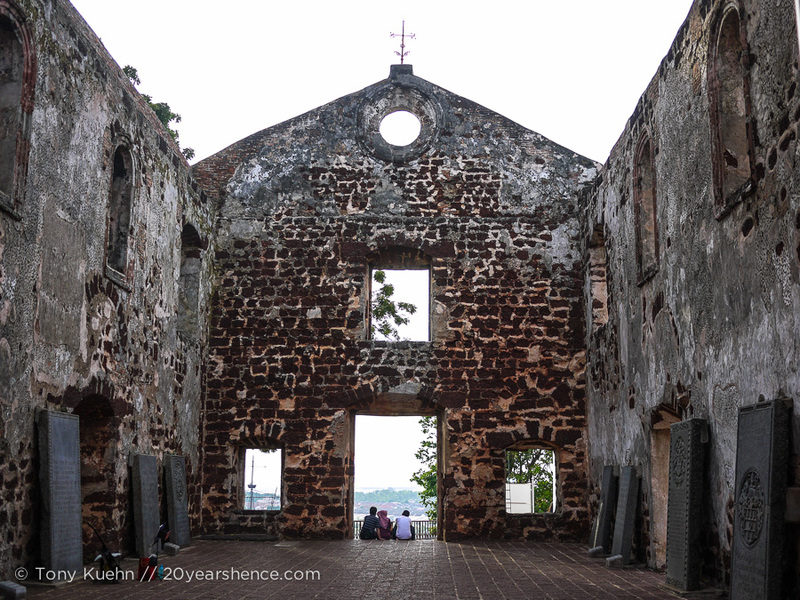 The afternoon sun seemed less violent at the summit of the hill, and a nice sea-breeze cooled our burning skin as we gazed over Melaka at the sea beyond. The next two days were focused on the people of Melaka. Our fourth morning was spent lounging in front of our guesthouse, as the owner had spied us coming down the stairs at a respectably late hour, and had waylaid us with an offer of teh ais (iced milk tea) and conversation. We spent the next two hours learning about Malay culture and life in Melaka. 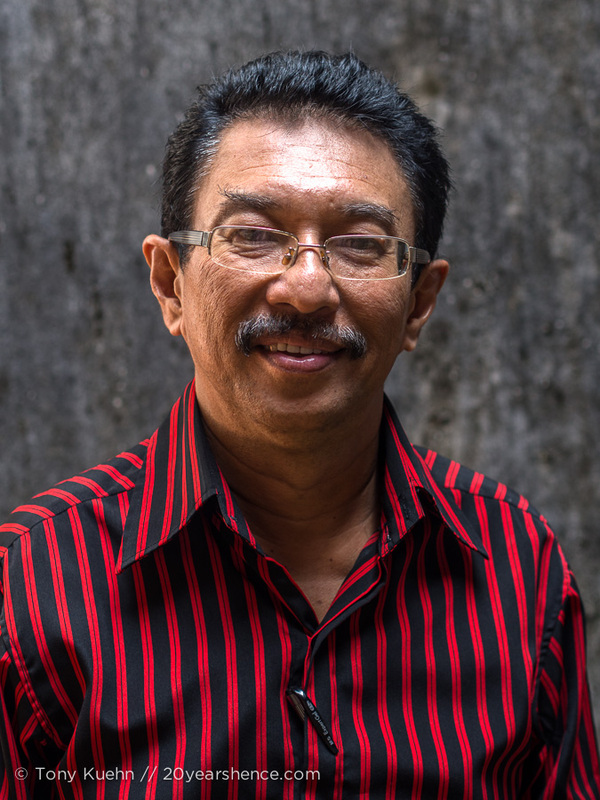 The owner of our guesthouse, Ken, was born in Melaka but considers himself Chinese. 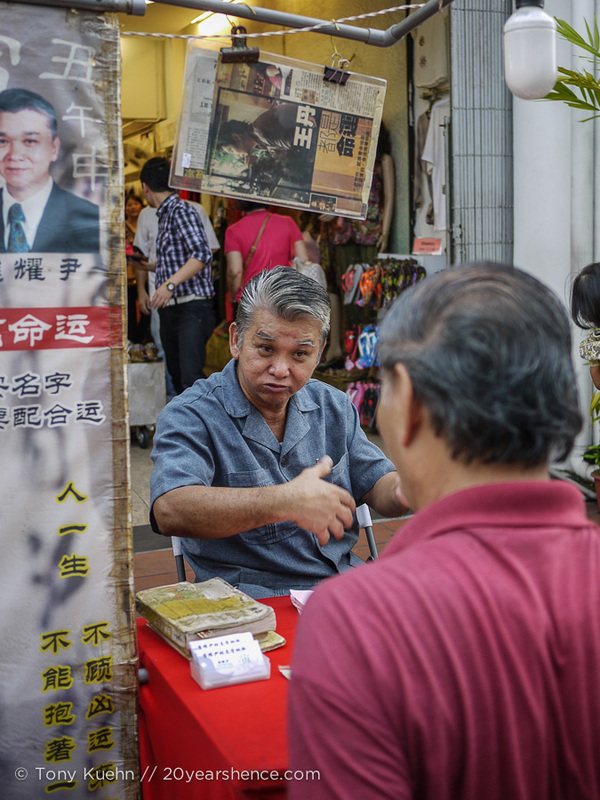 He married a Japanese woman (also born in Malaysia), went to Chinese school, speaks Mandarin (as well as Bhasa Melayu) and generally keeps with a Chinese way of conducting his life (within the bounds of being Malaysian married to a Japanese woman). 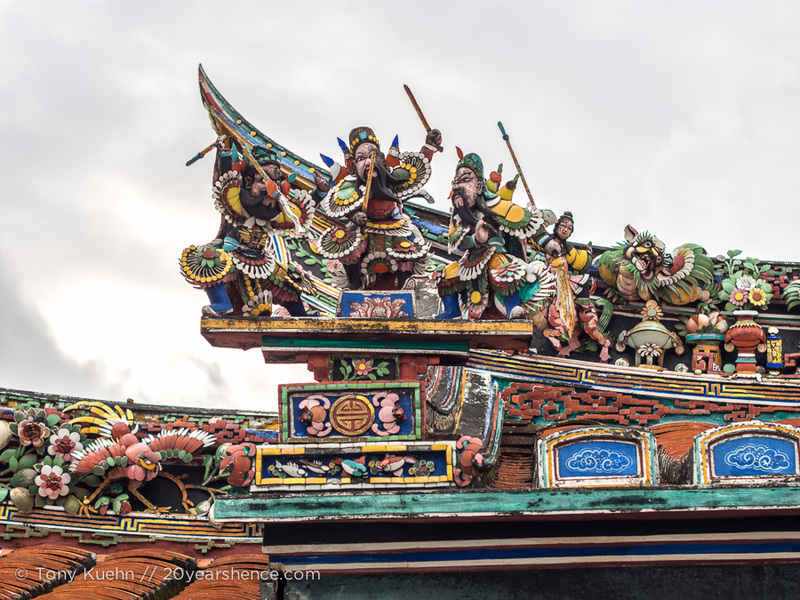 We learned that the major cultures in Malaysia all do much the same, and it became clear to us how Malaysia can sport such a stunning degree of diversity in its culture, cuisine and art. Its people hold to their traditions and heritage with a tenacity that is admirable, all the while dwelling together as Malays in one country. As an American, the idea that I would be anything else, regardless of my parents’ heritage, is a strange concept, but it’s one that Malays fully embrace. Truly, the people of Malaysia are its greatest attraction. Well, the food is pretty great, too. We quickly learned that one way to engage a Malay is to talk about food. 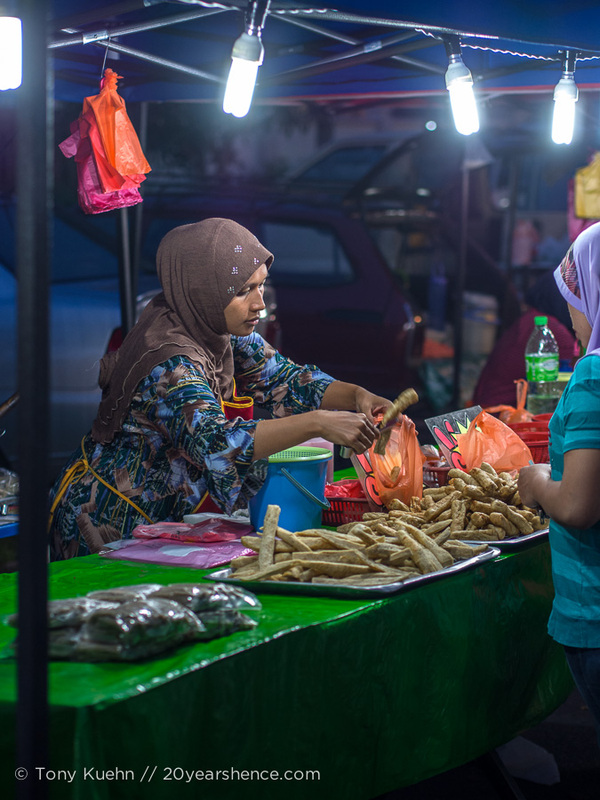 A love of good food seems central to the Malay perspective, and it’s no wonder that the country is brimming with delicacies. 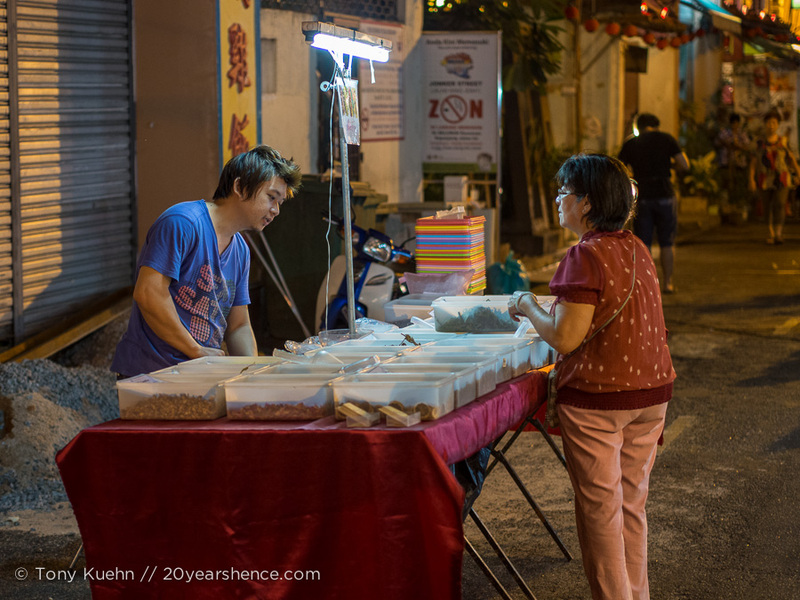 On the heels of a discussion about all the Malay food we had eaten (and loved) thus far, we told Ken that we were thinking of going to the local night market on the outskirts of town, after being disappointed with the Jonker Street market. 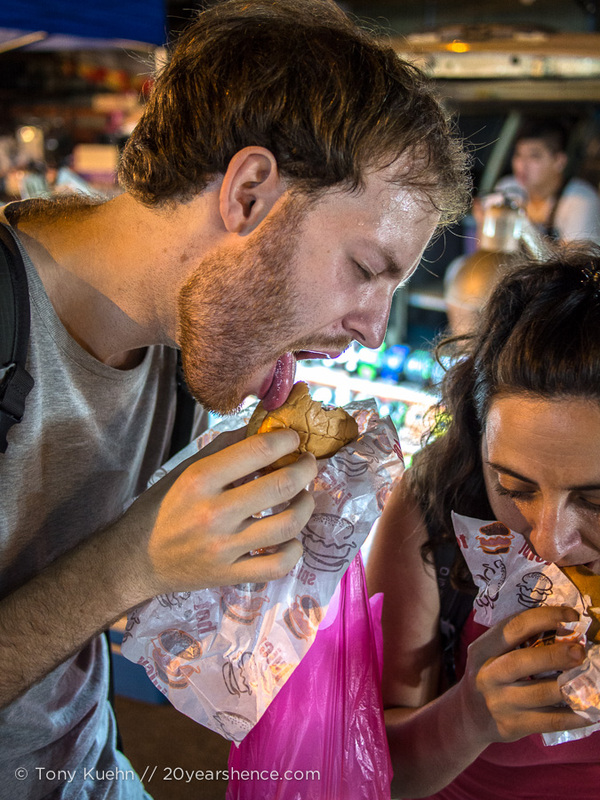 His wife overheard and seemed to think we wouldn’t like it much, but Ken told her that, no, we like that kind of thing and loved the local food. 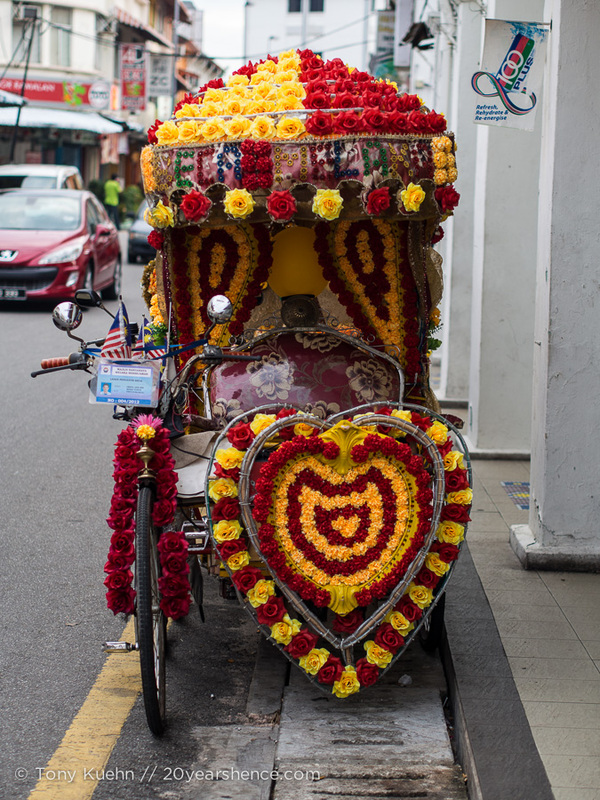 This earned us a huge smile, and as we would discover on our final night, an invitation to a whirlwind tour of a local’s Melaka and some of the best food we had during our time in the country. But that is a story for another post. Later, we met our friends Dale and Franca and headed to the outskirts of the city to find the much anticipated night market. 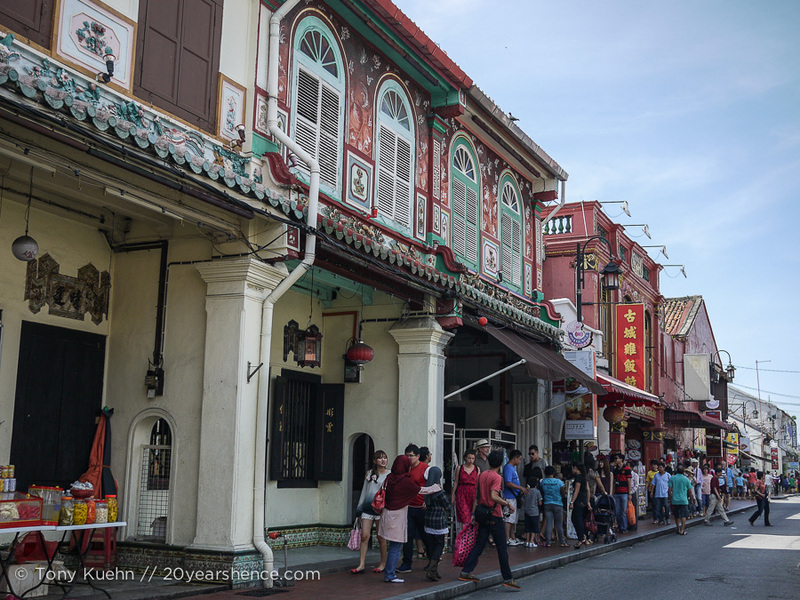 Gone were the tourist crowds of Jonker Street, here they were replaced by a teeming mass of hungry Malays, among which ourselves and a very few others counted as the only foreigners. 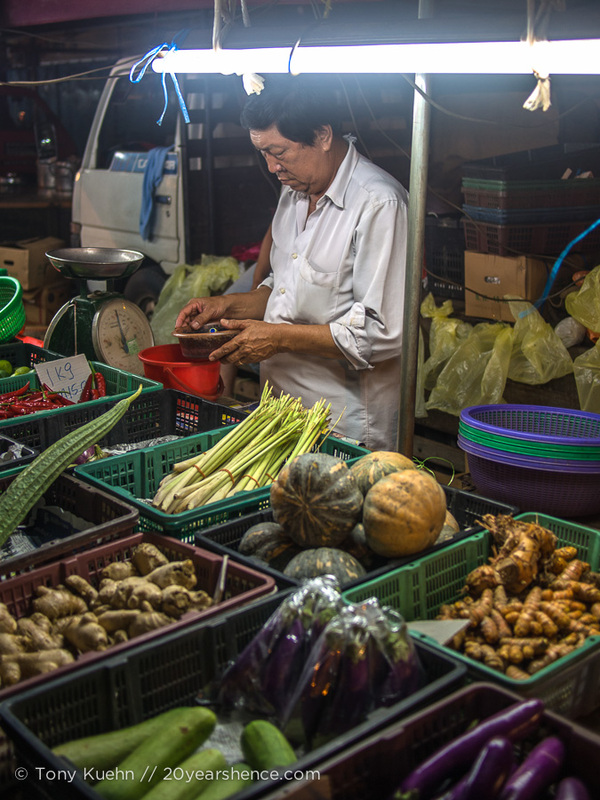 The market was a glorious, ramshackle affair that spread down two intersecting streets away from the main road. Truly, it would not be found unless you knew where to look. Once we entered the market, the noise and crowd was intense and immediate. Most of the stands were surrounded by people and powered by noisy little gas generators, busily burping fumes into the night air. Once, the local power grid went down and the crowd let out a collective sigh of disappointment as much of the market plunged into darkness, save for the few bulbs plugged into generators. The blackout didn’t last long though, and everyone quickly went back to carrying off as many pirated DVDs, vegetables, and murtabaks as their hands allowed. 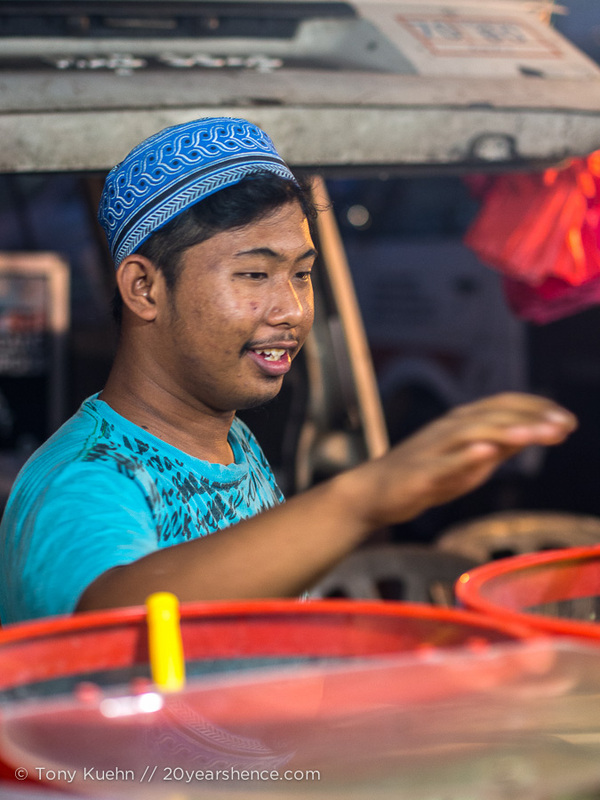 The market was filled with a wonderful energy, with every type of food and good on display and we happily waded through the sea of friendly Malays, all of us looking for the most promising food stalls. 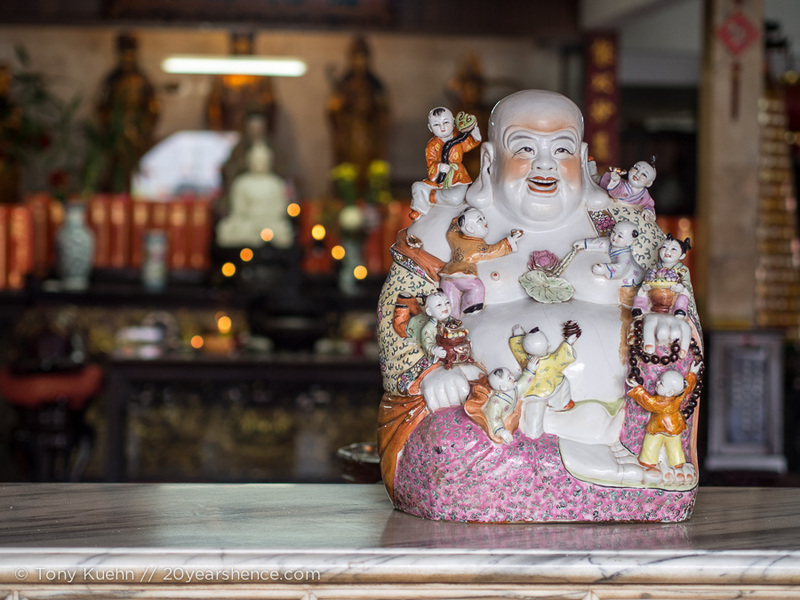 Our time in Melaka was nearly over, and it was a good end to a wonderful visit. 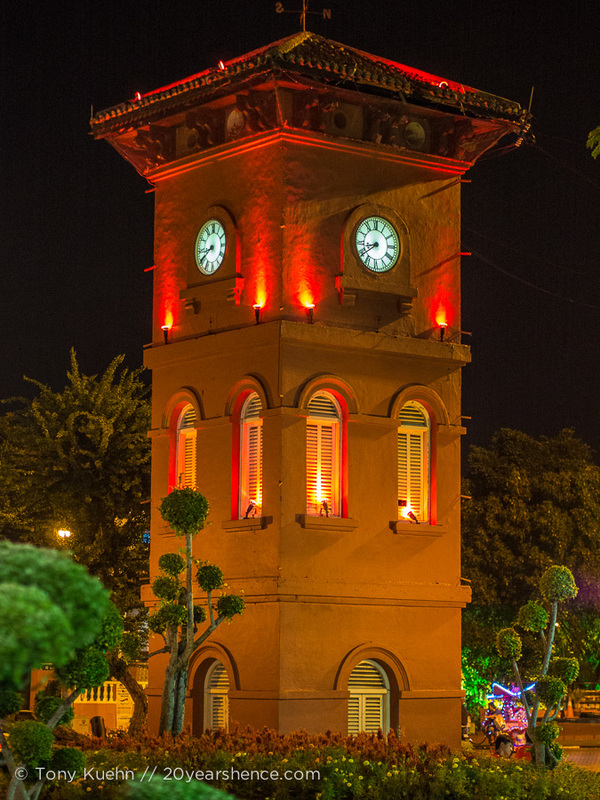 Melaka is a beautiful city, rich with history and culture. 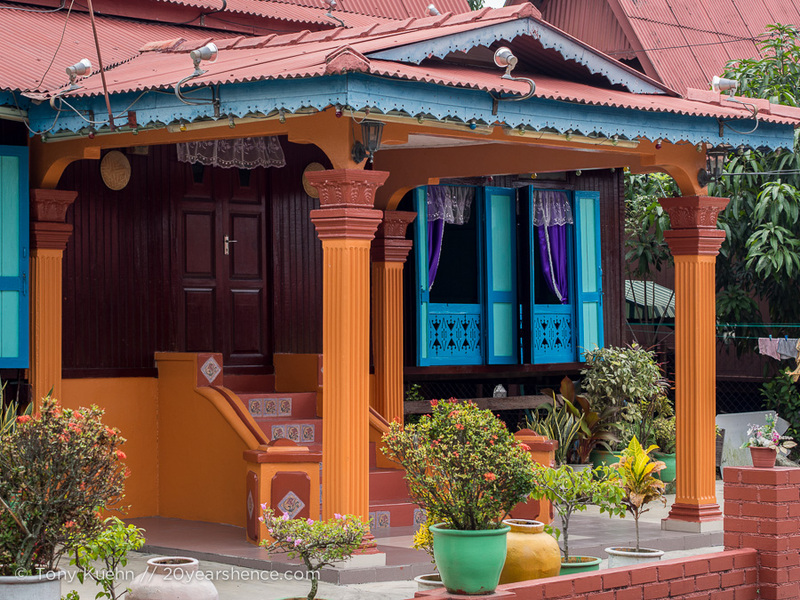 It is a microcosm of the multi-faceted tapestry of Malay heritage and diversity and we barely scratched the surface in our five days there. 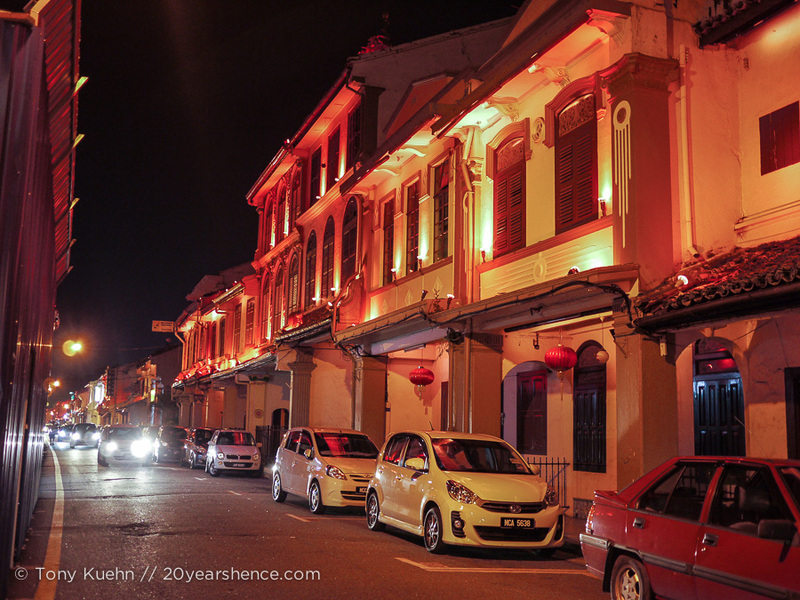 If you have time for only one city in Malaysia, Melaka is it. 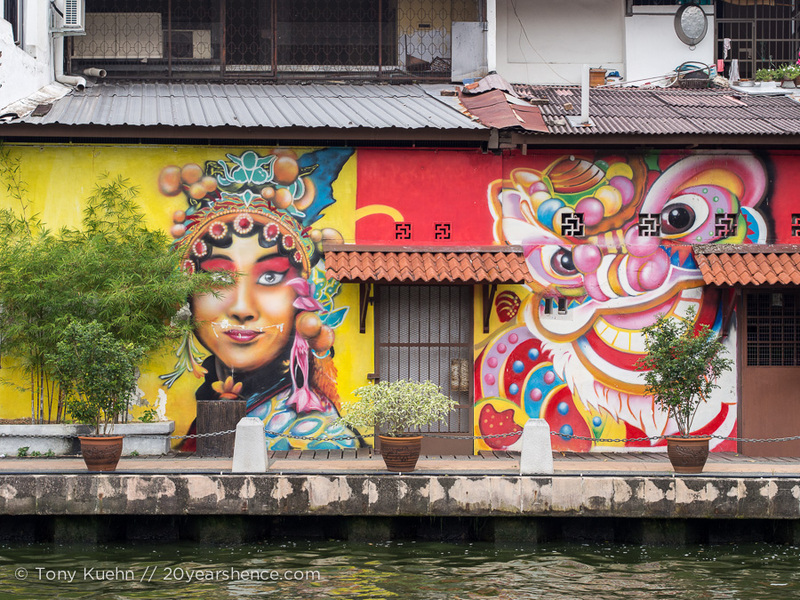 The food, the people, the architecture, the culture and the history of Malaysia are all proudly on display, sometimes larger than life, sometimes nearly hidden, but always beautiful and fascinating. 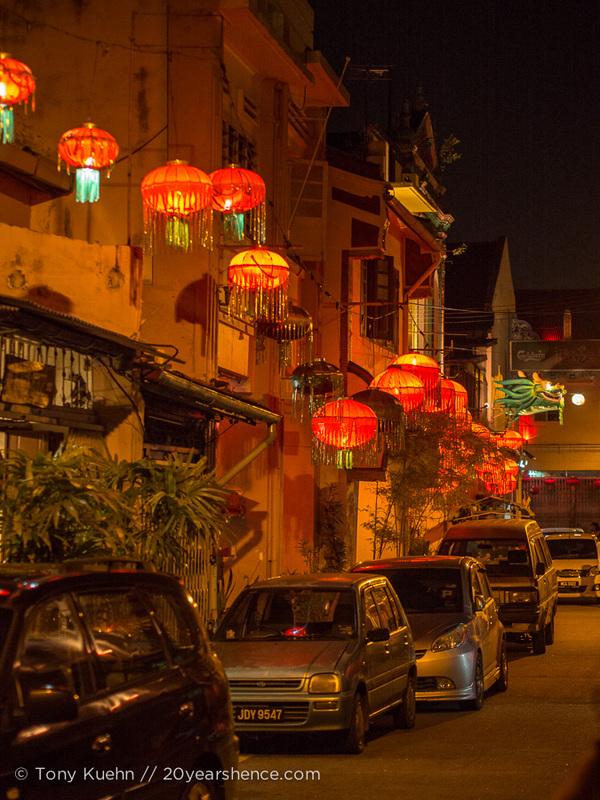 Tell us: have you ever been to Melaka? What’s the most colorful city you’ve ever been to? Thank you! 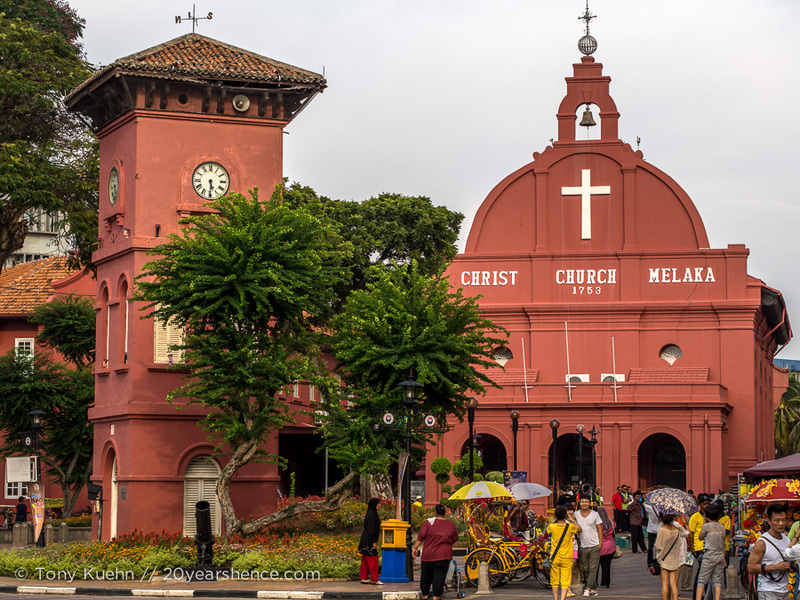 I had never even heard of Melaka before but now can not wait to experience it for myself! It’s a great town! If you like food and beautiful old buildings, it’s paradise! I actually used to work with a girl who was from here, and she described it exactly as you have here! Looks so colorful. It really was colorful! So much to look at on every street, five days wasn’t enough! I bet she missed the food from her hometown something fierce, too! What a beautiful city! I was there a few years ago and loved it there! Great photos too! Thanks so much! It really was great, and as someone who has been there, I’m glad you agree with me! Well, anyone who is willing to have that photo taken deserves the fame! Thanks for your kind words, Melaka was great, thanks in no small part to you guys! We’ll have to have a reunion tour one day! 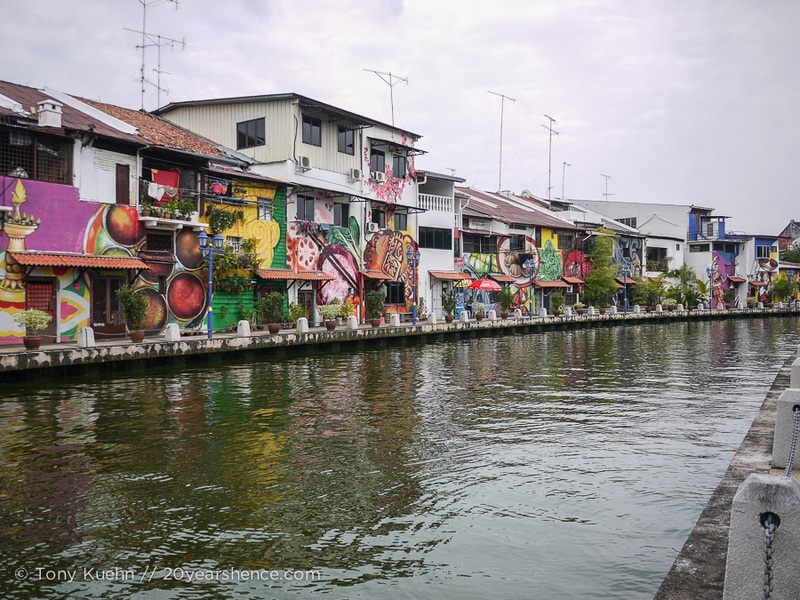 We lived in Melaka for over a month and loved it. Much like I assume the locals do, we dreaded the weekend coming around and the floods of tourists piling in for Jonkers Street! So glad you enjoyed it, and the wonderful food too. It really was great! I know the locals dread the weekend and the swarms of tourists. It’s too bad so much of the economy depends on them. What a great place to spend a month! Believe me or not, but Melaka reminds me of my last stay in Sri Lanka. The streets and tuk tuks look exactly the same. I miss it so much!!! Glad you enjoyed it. I didn’t know it is such a religious place. 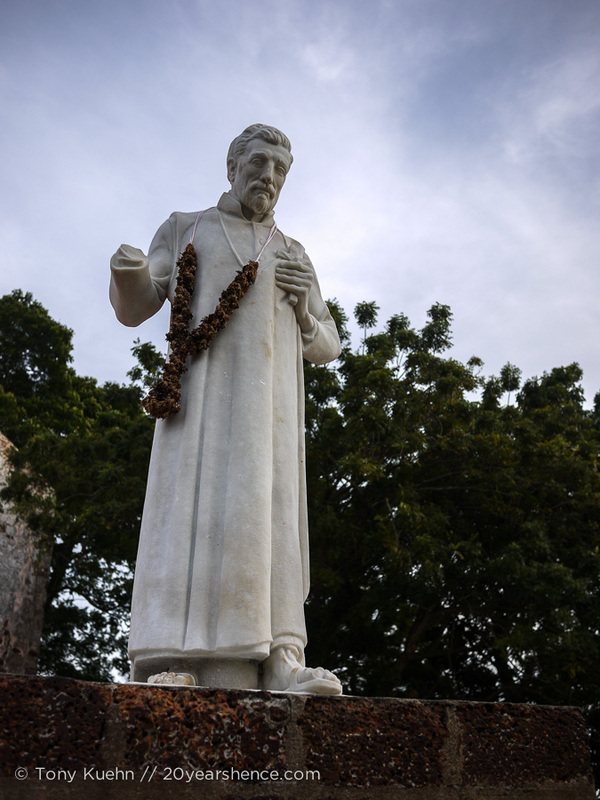 Well that makes me want to go to Sri Lanka even more! 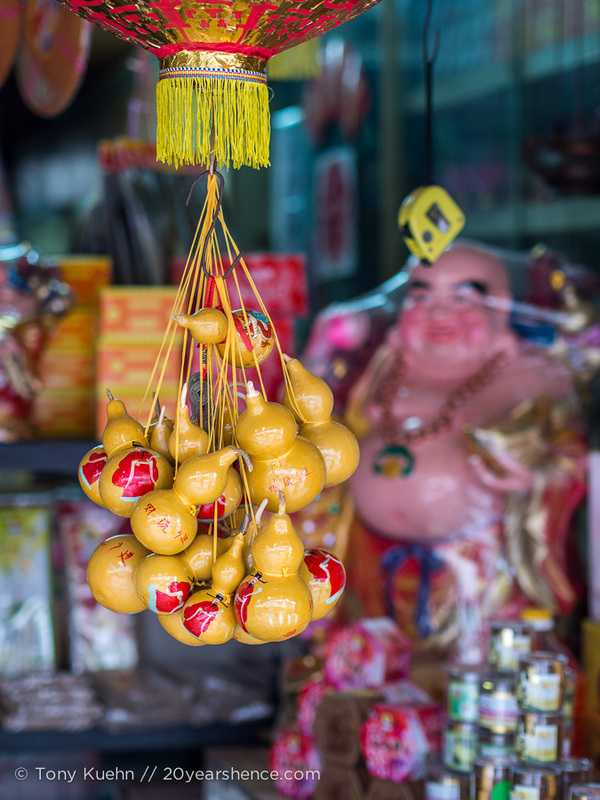 Malaysia is a blend of some very spiritual cultures, and Melaka is a blend of those cultures, so the religion really is everywhere!